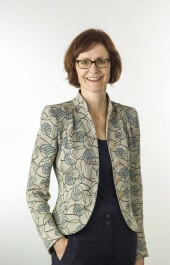 Monika Rühl became the Chairperson of the Executive Board of economiesuisse on 1 September 2014. The Swiss Business Federation represents the interests of business in the political process and campaigns for an optimum overall environment. Its members include a hundred sectoral trade associations, twenty cantonal chambers of commerce and several individual companies. economiesuisse represents a total of 100 000 Swiss companies from all sectors, with two million jobs in Switzerland. After completing her studies at the University of Zurich, Monika Rühl went on to train as a diplomat in Berne, Brussels and Geneva. She held posts in the Federal Department of Foreign Affairs (FDFA), including working for the Swiss mission to the United Nations in New York, before becoming personal assistant to Federal Councillor Joseph Deiss (2002 in the FDFA and 2003-2006 in the Federal Department of Economic Affairs (DEA)) and later moving on to become head of the Bilateral Economic Relations Division of the State Secretariat for Economic Affairs (SECO), with the title of ambassador, and a member of its board of directors. In 2008, she was appointed the Federal Council Delegate for Trade Agreements. From 2011 to 2014, she was Secretary General of the Federal Department of Economic Affairs, Education and Research (EAER). Didier Chambovey was born in 1961 in Sion, Switzerland, where he studied high school. He holds a PhD degree in economics from Lausanne University (HEC). delegation to the GATT Uruguay Round negotiations. From 1990 to 1993, he dealt with Economic Support to Central and Eastern European Countries in the same Office. In 1993, he was appointed Head of section at the WTO Division. From 1998 to 2006, he served as Deputy Permanent Representative to the World Trade Organization (WTO) for Switzerland in Geneva. Didier Chambovey has been Deputy Secretary-General of the European Free Trade Association (EFTA) from 2006 to 2011. He was appointed on 1st September 2011 as Ambassador and Delegate of the Federal Council for Trade Agreements, Head of the World Trade Division at State Secretariat for Economic Affairs (SECO), Berne. Since 2015, Didier Chambovey is chairing the OECD Trade Committee. 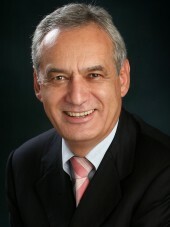 Didier Chambovey also served on WTO dispute settlement panels and chaired GATT and WTO Committees. As teaching assistant or lecturer, he taught at the universities of Lausanne and Neuchâtel. He is author of articles and papers on international trade and demography. In his spare time he plays the classical guitar and enjoys reading books on economics and history. Didier Chambovey speaks French (native) English and German. Sanjay Nayar (Mumbai) joined KKR in 2009 and is a Member and CEO of KKR India. He is also a member of the Asia Portfolio Management Committee. He is on the board of KKR portfolio companies Alliance Tire Group, Bharti Infratel, Magma Financial Services, Dalmia Bharat Cement, and Coffee Day Holdings, and has had significant involvement with KKR’s investment in Apollo Hospitals and Avantha. He also supports expanding the range of KKR’s credit and capital markets offerings across the region. Prior to joining KKR, he served as CEO of Citigroup’s Indian and South Asian operations and as a member of Citigroup’s Management Committee and Asia Executive Operating Committee. Mr. Nayar was the Deputy Chairman of the Indian Banks’ Association (IBA), a Member of the Board of US-India Business Council (USIBC), and Co-Chairman of the Banking Committee for the Federation of Indian Chambers of Commerce and Industry (FICCI). He also serves on the Committee of the Reserve Bank of India tasked with building a Centre for Advanced Financial Learning (CAFL). Currently, he is on the board of Habitat for Humanity, Pratham and Grameen Capital, and is a founding member of the Brookings Foundation, India. He was recently appointed to the Board of Emerging Markets Private Equity Association (EMPEA), and serves as the Chairman of the Indian Private Venture Capital Association. 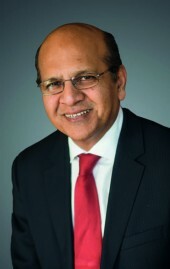 In addition, he is also on the Board of the Indian School of Business (ISB). Stuart Milne joined HSBC Holdings plc in 1981, having graduated with Honours in Modern Arabic Studies from the University of Durham, England. In his 34 years with HSBC, Stuart has worked in a number of businesses and in a variety of geographic locations, including the Arabian Gulf, Hong Kong, Philippines, New York, Paris and Tokyo. After five years in Hong Kong, latterly as Head of Corporate and Institutional Banking, Asia Pacific, Stuart moved to Tokyo in February 2007, upon being appointed President and Chief Executive Officer for HSBC’s business in Japan. 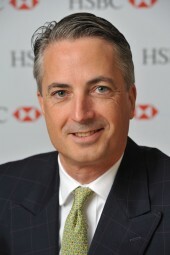 In April 2012, Stuart was appointed Chief Executive Officer for HSBC’s business in India, based in Mumbai. He is a Group General Manager of HSBC and a member of the Asia Pacific Executive Committee, underlining the importance of the India business to HSBC. Stuart is also Chairman of the British Business Group of Mumbai and a board member of the Indian Bankers Association and the Indian Institute of Banking and Finance. Stuart is married with three children and his interests include sailing, skiing and playing the Scottish Highland bagpipe. agreed, subject to regulatory and shareholder approvals, to acquire Merrill Lynch’s International Wealth Management business based outside the US. Merrill Lynch Wealth Advisors Private Limited (formerly known as DSP Merrill Lynch Limited) was also part of this transaction. Pradeep Dokania joined DSP Merrill Lynch Limited in 1986 as part of the original team empowered to set up the India Wealth Management business, which he helped steer into a market leader in India, and has over 29 years of experience in the Indian financial industry. Mr. Dokania holds an MBA from the Indian Institute of Management – Ahmedabad. Following the acquisition of Merrill Lynch Wealth Advisors Private Limited, by Julius Baer Group Limited in April 2015, Mr. Dokania joins the Julius Baer Group as a Managing Director Senior Advisor. Prior to taking over as Chairman, Global Wealth Management India in 2010, Mr. Dokania was head of the Indian Wealth Management business. He has held several positions in the company. Since joining DSP Merrill Lynch Limited as an Investment Banker in 1986, he was appointed the Head of Investment Banking from 1994 – 2000, advising several Indian promoters, multinational companies and financial services organizations with regard to India. Thereafter he was the Head of Fixed Income and Private Clients business from 2000 – 2003. Since 2003 he has been involved solely in the Private Client business. As a member of the Executive Committee and Board of DSP Merrill Lynch over the past two decades, Mr. Dokania has contributed to a period of evolution and exciting growth in the Indian financial markets. 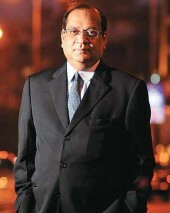 Aashish Kamat, is the Chief Executive Officer of UBS, India, since November 2011. For this role he is solely responsible for the day-to-day management and development of all of UBS India businesses, including key client coverage. 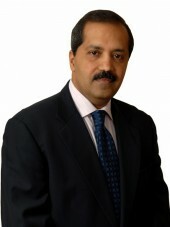 Aashish joined UBS in June 2011 as Chairman of Financial Institutions Coverage for the Investment Bank in Asia Pacific. In this Senior Leadership role, he covered Financial Institutions across the region, advising them on variety of issues across capital raising, Asset-Liability Management, to corporate governance and risk management. Prior to joining UBS, Aashish held a variety of Senior Finance and Management roles at JP Morgan Chase (Global Controller 2005 – 2007, Asia Pac COO / CFO 2007 – 2010), Bank of America (CFO Consumer Banking & Investment Banking 2001 – 2005) across Asia Pacific and USA, he also brings a wealth of banking industry knowledge across products, accounting, regulatory, risk and performance management, capital allocation and operations. Aashish also is a Chartered Accountant and spent 6 years with Coopers and Lybrand before joining JP Morgan in 1994. Aashish is also involved with Khelsala, a non-profit organisation that works with underprivileged children. Shashwat is a Partner with the Management Consulting function of KPMG and has over 18 years of experience in Business Consulting. In his role, he works primarily with Global clients, primarily in Europe and USA in developing business strategies for high growth and emerging markets. His primary focus is in Banking, Insurance and other Financial Institutions on business strategy formulation, operating model design, performance enhancement, process optimization and IT Strategy. He regularly participates at industry forums including CII, AIP, ASSOCHAM, FICCI and has authored a number of thought leadership reports in the financial services sector. Michael Carlos started his career with Givaudan in 1984 as General Manager in Hong Kong. He became Head of the European Creative Centre in Argenteuil in 1992 where he was in charge of integrating the creative resources from Givaudan and Roure. In 1999 he was appointed Global Head of Consumer Products and then President of the Fragrance Division in 2004. Michael Carlos holds the following mandates in companies that are quoted on an official stock exchange: member of the Board of Deinove SA. He also holds the following mandates: Chairman of the International Fragrance Association (IFRA) and Chairman of the Research Institute of Fragrance Materials. Michael Carlos holds an MBA from the Indian Institute of Management and a degree in chemical engineering from the Indian Institute of Technology. Helio Waszyk has been appointed as Non-executive Chairman of Nestlé India with effect from 1st of October, 2013. He relinquished the office of “Managing Director” of the company with effect from 30th of September, 2013. During his tenure as Chairman and Managing Director, Nestlé India witnessed impressive growth across all categories with several accelerated investments in news factories. Helio is also Chairman of the Corporate Governance and Social Responsibility Committee of Directors of Nestlé India. Helio is a Brazilian national, joined Nestlé Group in November 1977. He holds a Bachelor’s degree in Pharmacy and a Master’s degree in Food Biochemistry and developed his earlier career in the Technical and R&D functions. He has had a distinguished international record, highlights being postings in USA (1988-1990), Brazil (1990-1994), France (1994-1996), Philippines (1996-1998), Head of Nestlé R&D Centres, Switzerland (1998-2002), and Israel (2002-2004). His last posting was as Head of the Food Strategic Business Unit (SBU), Switzerland. 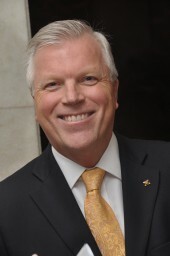 Wolfgang Will is an airline professional with over 30 years of experience in the industry. Born in Hanau, Germany in 1958, he has spent most of his childhood abroad. At the age of 22 he joined Lufthansa German Airlines as an aviation management trainee and has since held numerous management positions in administration, human resources, marketing and sales within the company. Wolfgang Will brings vast cross-functional experience at Lufthansa as well as close working knowledge of international markets, having served at the airline’s offices in Germany, Spain, Austria, Congo, Venezuela and Mexico. He is fluent in German, Spanish, English, French and Italian. Since March 2014 he is based in New Delhi and in charge of the Lufthansa Passenger Airlines activities in South Asia. Wolfgang Will is married and father of 2 adult children. Being a vegetarian he loves the Indian cuisine and enjoys now and then a nice round of golfing in one of the many beautiful courses in the country. Srini Srinivasan has over 25 years of experience in driving sales and profit growth of innovative products, branded generics and vaccines in countries, region and in various global roles. At present Srini is the Global Head – Commercial Strategy & Operations in Novartis Pharma, based in Switzerland. Srini has been with Novartis Pharma & Sandoz for the past 12 years in various operational & global leadership roles including Head of Asia Pacific, Country General Manager, Global Head of Integrated Insights and Global Brand Director. He has experience in multiple therapy areas across all stages of new product development and commercialisation. He also led the accelerated build-up of global commercial functions in Hyderabad, India. Prior to Novartis, Srini has extensive experience in senior operational roles with SmithKline Beecham and Astra in India and in global marketing with GSK in UK. 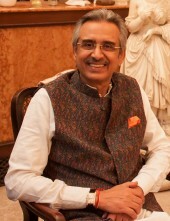 Srini holds a degree in Pharmacy, an MBA from London Business School and received executive training at Harvard Business School. PhD in Physics, Swiss Federal Institute of Technology, Lausanne; MSc in Engineering Physics, Technical University of Lisbon; MBA in Marketing Strategy and Communication, University of Geneva; Certificate in Strategic Decision and Risk Management, Stanford University. Over 18 years' professional experience in various industrial settings. Solid experience in infrastructure project management (multimillion dollar CAPEX projects), strategic decision and risk management, and economic valuation studies. Former senior roles in numerous countries and in a variety of industry sectors, namely, building materials and cement manufacturing with Holcim, specialty minerals with Imerys, fine chemicals with Agfa-Gevaert, and fast moving consumer goods with Philip Morris International. Currently, Head, Infrastructure & Urban Development Industries, World Economic Forum, Geneva. Edited, co-authored and published initiative reports, including – but not limited to – the Knowledge Series on Strategic Infrastructure in 4 volumes (available on request); serve in international committees, for instance, the Global Public Private Partnership (PPP) Certification Program under the auspices of the World Bank Group since 2012 and the B20/G20 Partnership in Russia and in Turkey (recommendations to the B20 taskforces on infrastructure and investment). 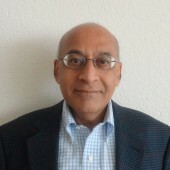 Charles Dhanaraj joined IMD in 2014 as Professor of Strategy and Global Leadership. An award winning researcher and teacher, Professor Dhanaraj has published numerous articles and cases. Some select papers include: 2013: Home Region Orientation in International Expansion Strategies. Journal of International Business Studies, 44: 89-116. (with Banalieva, E.) 2011: Transforming Mental Models on Emerging Markets. Academy of Management Learning and Education. 10: 684-701. (with Khanna, T.) 2010: The Dynamic Influence of Social Capital on the International Growth of New Ventures. Journal of Management Studies. Prior to IMD, Professor Dhanaraj was an associate professor of management at Indiana University's Kelley School of Business (USA). He also held the positions of Schmenner Faculty Fellow in International Business, and Research Fellow at the Randy Tobias Center for Leadership Excellence. From 2010-2012, he served as the Head of the Center for Leadership, Innovation and Change (CLIC) at the Indian School of Business, Hyderabad. In addition, he has been a visiting professor at Kellogg (USA), ISB (India), CBS (Copenhagen), FDC (Brazil), Ivey (Canada), and Grenoble (France). Following a mechanical engineering degree from IIT Madras (India), he worked with a Tata Group company for five years in manufacturing, strategic planning and business development. He received his graduate degree in robotics from Memorial University of Newfoundland, Canada, an MBA from Wilfrid Laurier University, and a PhD from Ivey Business School at the University of Western Ontario. He is an active member of the Academy of International Business, the Strategic Management Society and the Academy of Management, serving in several leadership capacities. An industry veteran with over 26 years of experience across industries, Rajeev Wagle is the Managing Director, Kuoni India. Prior to this, Rajeev was working with UTV Software Communications Ltd as their Group Chief Financial Officer. He was involved in concluding India's first cross border merger of two listed companies, obtaining funds under innovative structures from bankers & institutions for the media business of the company and implementation of an enterprise wide ERP for the group under a pay for use model. Rajeev has an extensive experience in the travel sector due to his long association with Kuoni India. 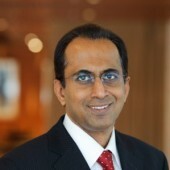 He joined Kuoni India in 2000 as Chief Financial Officer and was involved in integration of SITA, the setting up of VFS & expanding their service to over 40 countries and setting up of Shared Service Centers for accounting which were the first of their kind in India in the travel industry and in the Kuoni world. Rajeev is a B.Com from Mumbai University and is qualified Chartered Accountant, Cost Accountant and Company Secretary. He started his career as Management Accountant of Garware Wall Ropes Limited then moved on as General Manager - Finance of Datamatics Ltd. In 1993 he became General Manager - Finance of AFL Limited, one of the leading logistics companies, and later it's CFO in 1998. He was involved in building and financing state of the art hubs for the DHL division, raising private equity, demerging the Travel division into a joint venture with Carlson Wagonlit, a world leader in travel. He was recently honored as one of the Most Influential Persons in the award category of Tour Operator & Business Travel presented by Outbound Travel Mart (OTM). Dr. Oliver Adler is Head of Economic Research of Credit Suisse Private Banking & Wealth Management division, based in Zurich. He joined Credit Suisse as Head of International Macroeconomic and Real Estate Analysis in 2009. He heads the Economic Research team, including Swiss Macro and Industry Research since 2012. He holds a B.Sc. (Economics) degree from the London School of Economics and a MA in Int. Affairs (1982) as well as a PhD in Economics (1989) from Columbia University in NYC. Marcel has been in the aviation industry for more than 45 years (airline and airport management), having held key positions in various fields at Swissair, Swissport, Bangalore International Airport Ltd. (BIAL) and Delhi International Airport (P) Ltd. (DIAL). 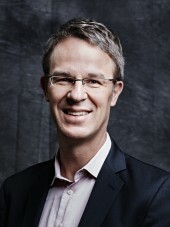 In January 2007 Marcel joined BIAL as Chief Operating Officer on secondment of Zurich Airport. It was a unique experience and challenge to build up the Operation at the Greenfield Bangalore International Airport together with a motivated and competent team. The airport opened on time on 24th May 2008. Within a short period of time we developed and established the airport as the Gateway to the South of India and on par with world class airports in terms of operational excellence and customer satisfaction. 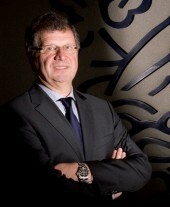 Marcel served BIAL for 2 years as Chief Operating Officer and another two years as Chief Executive Officer. In July 2011 Marcel joined Delhi International Airport (P) Ltd. as Chief Operating Officer. In total, Marcel has been spending the last eight years in India. Prior to moving to India Marcel was the Chief Executive Officer of Swissport Zurich, the largest ground handling organisation at Zurich Airport with 2100 employees and handling some 60 customer airlines. At Swissair Marcel held various positions based in Switzerland and abroad. He worked at JFK, New York and at London Heathrow Airport, in Jeddah, Saudi Arabia and was General Manager in Manila, Philippines, in Singapore in charge of Malaysia, Indonesia and Singapore, and in London in charge of UK & Ireland. From 1989 to 1991 Marcel was Sales & Marketing Manager Asia and from 1998 to 2002 Route Manager for Asia and the Middle East. Marcel is married to Ellen Hungerbuehler and we have two grown up daughters. Stephan Danne’s career with with Kuehne + Nagel spans more than 20 years and started with the Branch Manager role in Shanghai at a time when China just started to boom . After that he was assigned Country Manager for Thailand / Cambodia first and Taiwan later. Stephan joined Kuehne + Nagel’s Asia-Pacific Regional Management Team in 2011, first as Head of Trade, and then as Regional SVP for all Seafreight Operations. Since October 2014 he on the front lines as Managing Director of KN in India which with almost 1’000 experts operates out of 14 offices nation-wide. Prior to joining K+N he was Managing Director of IFB Taiwan. CS Sutanu Sinha is a Fellow Member of the Institute of Company Secretaries of India and also a Member of the Institute of Chartered Secretaries and Administrators, London (UK). A Post Graduate in ommerce from Calcutta University, he stood irst Class First in the Post raduate Diploma in German Examination of Calcutta University. Before assuming the office of Chief Executive of the Institute of Company Secretaries of India (ICSI) from 1st January, 2013, Mr. Sinha was heading the Academics & Professional Development Directorate. He has over twenty five years of professional experience in Company Secretarial and Corporate Functioning. He possesses a vast work experience in Corporate Planning, Finance, International Trade and other allied areas in the course of his previous assignments in MNC/PSUs. His areas of specialization include Corporate Governance, Sustainability and Enterprise Resource Planning. He is also Global Corporate Governance Forum(GCGF), Washington (World Bank Group) trained Trainer for Directors Development Progammes. Recently, he was nominated by CSIA for participation at the Company Secretary's Pilot workshop for developing Company Secretaries Toolkit organised by Global Corporate Governance Forum, IFC, an arm of World Bank, held in Johannesburg, South Africa in May 2013. He also received scholarship by Cambridge University for attending `The Prince of Wales - Business and Sustainability’ programme at Cape Town, South Africa in May, 2013. He has contributed significantly in ICSI initiatives to promote corporate governance in India and overseas. He has been appointed by the Government of India as Director in the Board of Canara Bank, one of the leading Public Sector Banks in India. Satya Sheel is a graduate from St. Stephens College, as well as law from University of Delhi. He worked for Ministry of Foreign Trade for some time. While still in college, he set up an Advertising Agency. In early eighties specialized in product marketing and market research from IIM, Ahmedabad. An entrepreneur, he worked in the US, Middle East, UK, Romania and Russia, set up industry, traded in commodities, fibers, currencies and created opportunities in diverse economies. In 1997, he founded a unique voluntary movement. Known as 'Students against Pollution', this initiative empowered over 300,000 students from over 250 Delhi schools to successfully find solutions for Delhi's vehicular pollution problem. From 1998-99 onwards he assisted Bhure Lal Committee, constituted by the Supreme Court of India, as a communication adviser. In year 2001, he set up a plant to manufacture motorcycles in India with Suzuki, Japan as his joint venture partner. As its Managing Director, he led this company in establishing a pan India brand till 2010. In 2005, he was the only Indian and a non architect selected for the prestigious Holcim Award for Environmentally Sustainable Architecture in Beijing, China. In late 2005 Metrovalley Business Park Pvt. Ltd was established. Appointed in October 2013 as the Head of Fast Growth Markets (FGM) Organization, Neumann is leading the orchestration of investments and cross-organization strategy to grow SAP’s business in fast growing geographies such as China, the Middle East and Russia. Neumann is also continuing to lead the Global SAP Labs Network (SLN). Under his leadership, the SLN has grown significantly and has successfully integrated into the network of many research and development locations of SAP acquired companies. Today, SAP Labs is ranked among the best employers in most countries and has transformed its business to support global, innovative product development and local field operations alike. Part of SAP’s Senior Executive Team, Neumann’s experience includes an 20-year SAP career in the fast growth markets, with more than 13 years in India and China, where he was instrumental in SAP’s entry into China. Neumann has led the Global SAP Labs Network for nearly five years. Prior to this, he was the President of SAP Labs India and held in addition the responsibility as Senior Vice President in Software Development with engineering teams in China, Germany and India. He helped establish this largest research & development Hub of SAP outside of Germany in Bangalore by growing it constantly to its current strength of 4,000 engineers, responsible for various products and solutions of SAP. Neumann is recognized for his business achievements in Asia, evident through his many invitations to join high-level business circles and associations. At present, he serves as a spokesperson in the Asia Pacific Association of German Industries (APA), a board member in the East Asian Association (OAV) and a member of the Indo-German advisory council of the Prime Minister of India and the German Chancellor. Furthermore he co-authored several books and articles on innovation and business practice in emerging markets. Neumann holds a Diploma of the University of Applied Science in Ludwigshafen and a MBA degree from INSEAD, Fontainbleau and Singapore. He lives with his wife and three children in Shanghai, China. Sumeet Aggarwal is General Manager for Business Development & Strategic Alliances at Fortis Healthcare Limited, based in India. He has also served as the Director in the Executive Chairman’s office, based in Singapore and has been responsible for growth and maximizing share in strategic markets. 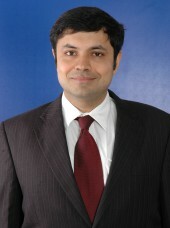 Prior to joining Fortis Healthcare, Sumeet served as a Global Leadership Fellow at the World Economic Forum in New York, where he was responsible for leading the engagement of business, political, academic and other thought leaders of society to shape the global health and healthcare agenda of the Forum. He has also spent eight years working as a trusted advisor to large private and public global healthcare clients while working for Deloitte Consulting and Monitor Group in the United States. Sumeet is recognized for his expertise and thought leadership in healthcare delivery and is on the strategic group constituted by the World Economic Forum to guide its major global projects. He has a MBA degree from INSEAD and a Bachelor’s degree from The University of Arizona. He is a member of the Confederation of Indian Industry ASEAN / ANZ regional committee and of several committees of the Healthcare Federation of India (NATHEALTH). Ravi studied in the UK obtaining B.Sc. in Pharmacology, Ph.D. and MBA. He spent several years in Research (London University, Zurich University Hospitals, Ciba Geigy), Clinical Development (SmithKline Beecham) and Sales & Marketing (Novartis). In 1999 Ravi moved to Business Development & Licensing at Novartis, where he spent 8 years in various functions and therapeutic areas. One of his activities was Business Development in the emerging markets, including India, China, Korea and Taiwan. 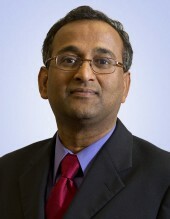 Ravi joined Actelion Pharma in 2008 as Senior Director, Corporate Business Development. Ravi was born in East Africa, spent teenage years in Gujarat, studied in the UK and has lived in Switzerland since 1981. Ravi has three women in his life, and enjoys cooking, soccer (from the comforts of his arm chair), and spiritual reading.